Go check out TasteStopping to see my guest post about inspiration and comfort zones. I was their very first guest blogger, and I am so excited to share this with you!! Go, now. 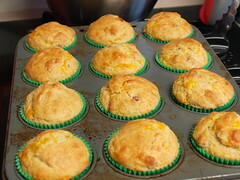 The muffins will be here when you return! After dessert, it is my favorite meal of the day. (And, yes, I consider dessert a meal, and not an add-on to dinner.) Where else can you combine sweet and savory so neatly? One of my favorite breakfast dishes is bacon cheddar quiche. 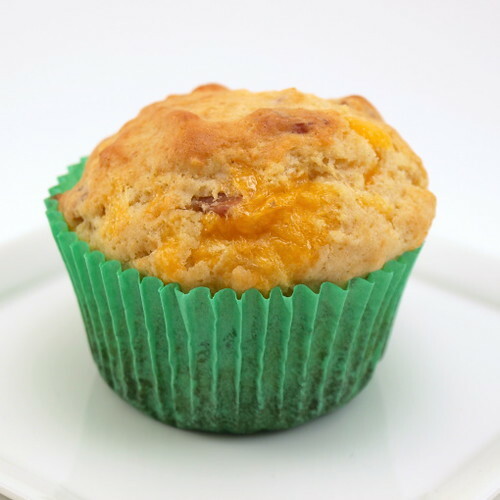 Of course there is bacon, the king of breakfast meats, and there is cheddar cheese which adds a mouthwatering tang. Those are the flavors I was thinking of when I made this muffin. I wanted something that would be good as an on the go breakfast, or nestled in a basket for a brunch. 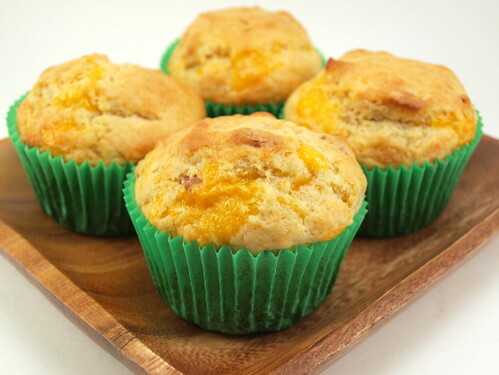 The muffin is just a tiny bit sweet, which is the perfect backdrop for the salty bacon and tangy cheese. 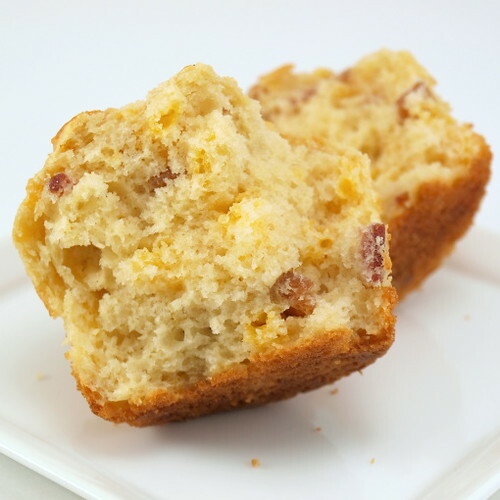 The overall taste is very similar to my favorite quiche recipe, and they bake off nice and plump. These would also be good with some smoky BBQ, or a simple roast chicken. 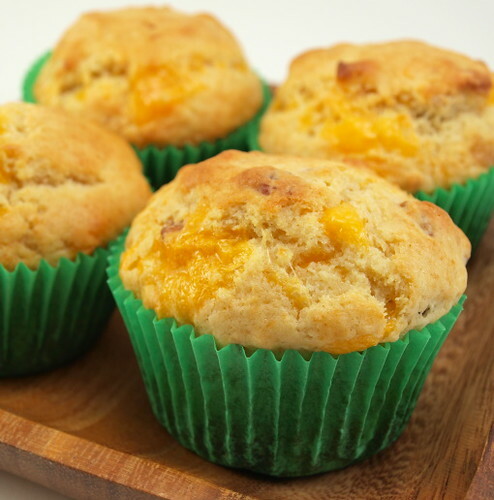 Give these unique muffins a try! 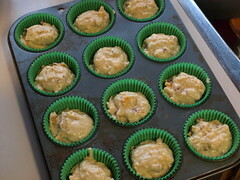 Heat the oven to 400 F and prepare a muffin pan with paper liners. 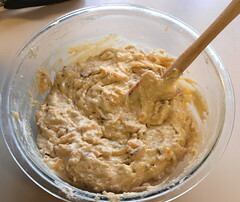 In a large bowl whisk together the flour, baking powder, brown sugar, and salt. 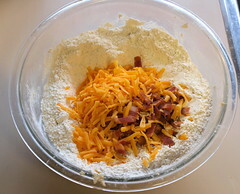 Add the bacon and cheese and toss to combine. In a small bowl whisk together the milk, eggs and butter. Pour the wet mixture over the dry and mix until the dry ingredients are just moist. The batter will be lumpy. Scoop the batter into the prepared pan and bake for 18 to 20 minutes, or until the muffins spring back when lightly pressed in the center. Cool in the pan for three minutes before turning out on a wire rack to cool. © 2010, Evil Shenanigans. All rights reserved.